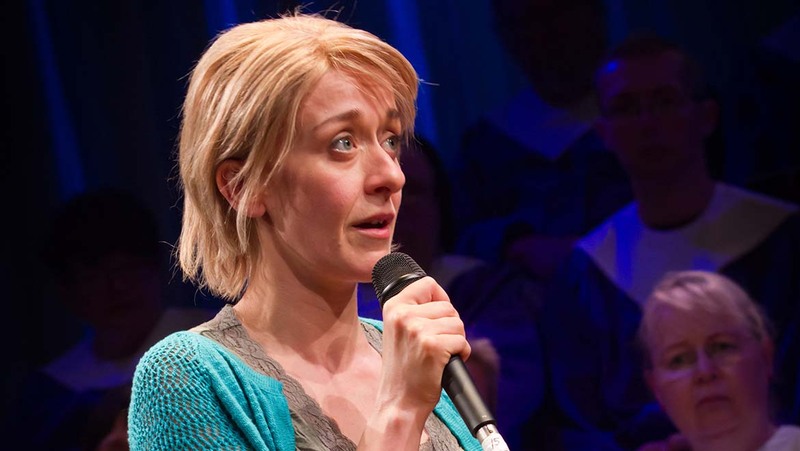 The company's d:facto™ Vocal Microphones have been warmly welcomed by the crew and cast of The Christians, a new play currently being performed in London. DPA's d:facto™ Vocal Microphones are playing a crucial part in adding authenticity as well as vocal clarity to The Christians, a new play that is currently enjoying a successful run in London. The show, which is being performed at The Gate Theatre in London's Notting Hill, has garnered four-star reviews from numerous publications including The Observer and The Scotsman. Over the summer it transferred to the Traverse Theatre in Edinburgh as part of the annual Edinburgh Festival. Taking their cue from the play's setting in an Evangelical church in the US, the creative team behind The Christians opted for hand-held microphones rather than headsets, and selected d:facto™ Vocal Microphones for the task, on the recommendation of DPA's UK distributor, Sound Network. "The framework of the play is a church sermon, taking place in an enormous hall in front of thousands of people," explains Producer Elena Peña. "The entire piece is performed on microphones, as though every scene was part of the sermon, even a husband and wife at home." As Peña explains, using hand-held mics was largely an aesthetic, theatrical choice. "Chris Haydon, the director and Lucas Hnath, the writer, were keen for it not to look too much like a performance, as headset mics might suggest. We didn't want to suggest a caricature of an Evangelical mega-church service – the characters should be taken seriously. And personally, I really like the sound of DPA d:facto™ microphone." Having settled on using hand-held mics, Peña had three key requirements: first of all, it was crucial for the actors' vocals to be of the highest quality. "I needed really clear sound, to best represent the voices of each actor, especially when adding effects, to make the space seem larger," she says. Her other focus was allowing the actors' movement around the microphones "without experiencing a troubling degree of proximity effect – but with enough directionality so as not to muddy the sound (we had a live choir involved)", she adds. Finally, Peña needed to minimize the effect of plosives on the sound without having to remove too much depth from the voice in EQ. "DPA's d:facto™ Vocal Microphones seemed best able to tackle all these concerns, and I have always had successful results with DPA microphones in the past," she explains. The play is using two wired d:facto™ Vocal Microphones, as well as one wireless d:facto™ Vocal Microphone capsule consisting of the supercardioid d:facto™ capsule, the d:facto™ grid and a d:facto™ adapter attached to a Shure wireless microphone transmitter, which is used by an actor who makes an entrance from the back of the auditorium. The ability to seamlessly integrate with all professional wireless systems is a key feature of the d:facto™ Vocal Microphone. This is achieved through a state-of-the-art adapter system, which allows users to switch from one wireless system to another at a fraction of the cost of a new microphone. "We tried several types of microphone and the d:facto™ microphones responded much better to off-axis transmission, preserving the full range and depth of sound," Peña says. "Overall, they delivered a beautiful, warm sound quality. There were no problems with feedback, even when pushing the gains, and the three-layered wind shield system helped hugely with plosives and handling noise. They worked brilliantly." Even the cast and Director had their own praise. 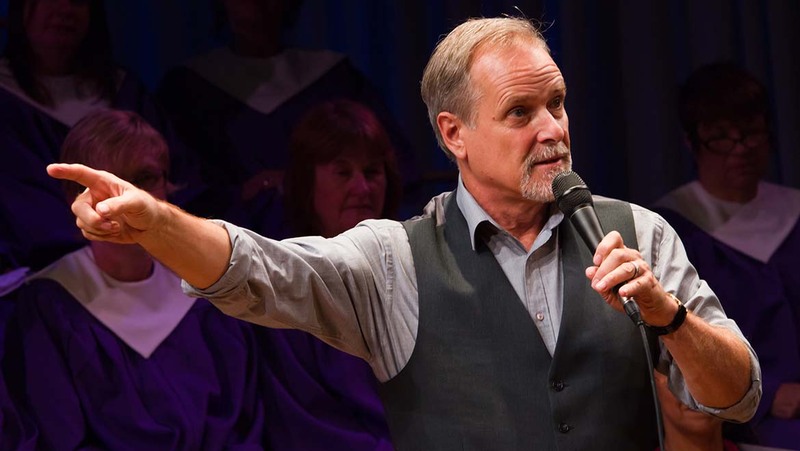 William Gaminara, (playing Pastor Paul), says: "It was great to begin each show with confidence that there would be none of the usual issues with microphones, such as feedback, hisses etc. They delivered every time." 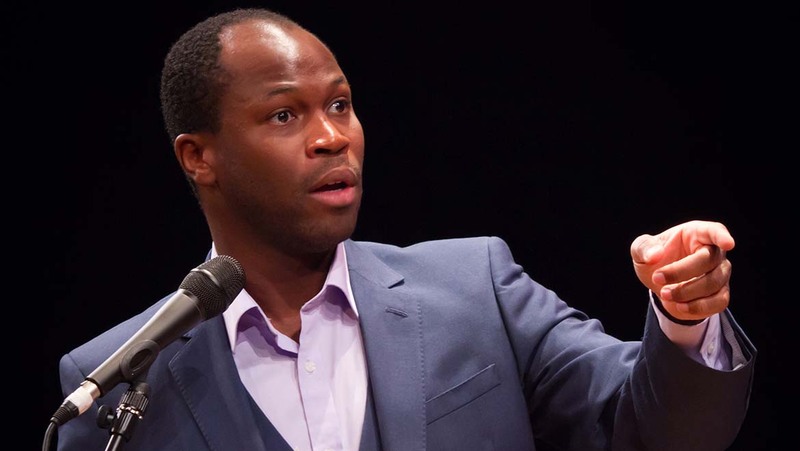 Stefan Adegbola, (playing Associate Pastor Joshua), adds: "A key component of acting is feeling relaxed enough to explore the range of events and emotions a character will go through. Having never before worked with microphones in this context, I now have no fears about using them – they enhanced the atmosphere of the piece and allowed me to pick up a new technique." Director Christopher Haydon felt that the DPA d:facto™ microphones did the job perfectly. "I had real confidence that the show was being brilliantly served each night and they played a vital role in making the overall concept of the piece fly." The Christians is now back at The Gate Theatre and will be running throughout the autumn.